The coordinated tissue-specific regulation of gene expression is essential for the proper development of all organisms. Mutations in multiple transcriptional regulators cause a group of neurodevelopmental disorders termed “transcriptomopathies” that share core phenotypical features including growth retardation, developmental delay, intellectual disability and facial dysmorphism. Cornelia de Lange syndrome (CdLS) belongs to this class of disorders and is caused by mutations in different subunits or regulators of the cohesin complex. 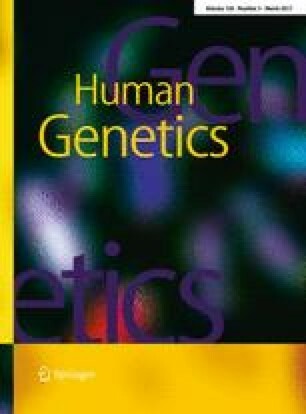 Herein, we report on the clinical and molecular characterization of seven patients with features overlapping with CdLS who were found to carry mutations in chromatin regulators previously associated to other neurodevelopmental disorders that are frequently considered in the differential diagnosis of CdLS. The identified mutations affect the methyltransferase-encoding genes KMT2A and SETD5 and different subunits of the SWI/SNF chromatin-remodeling complex. Complementary to this, a patient with Coffin–Siris syndrome was found to carry a missense substitution in NIPBL. Our findings indicate that mutations in a variety of chromatin-associated factors result in overlapping clinical phenotypes, underscoring the genetic heterogeneity that should be considered when assessing the clinical and molecular diagnosis of neurodevelopmental syndromes. It is clear that emerging molecular mechanisms of chromatin dysregulation are central to understanding the pathogenesis of these clinically overlapping genetic disorders. The online version of this article (doi: 10.1007/s00439-017-1758-y) contains supplementary material, which is available to authorized users. This work was funded by the German Federal Ministry of Education and Research (BMBF) (CHROMATIN-Net: to F.K., G.G.-K., N.C.B. and D.W.; E-Rare-2 TARGET-CdLS: to F.J.K, K.W. and E.W. ), by the Spain’sMinistry of Health-ISCIII (Ref. FIS PI12-01318) (to F. J.R. and J.P.) and by the Medical Faculty of the University of Lübeck (J09-2017 to I.P. ).